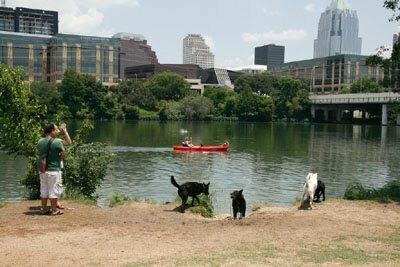 austindogandcat.com: Dog Tested and Approved: Short on Time and You Want to Walk Your Dog Around The Lake? 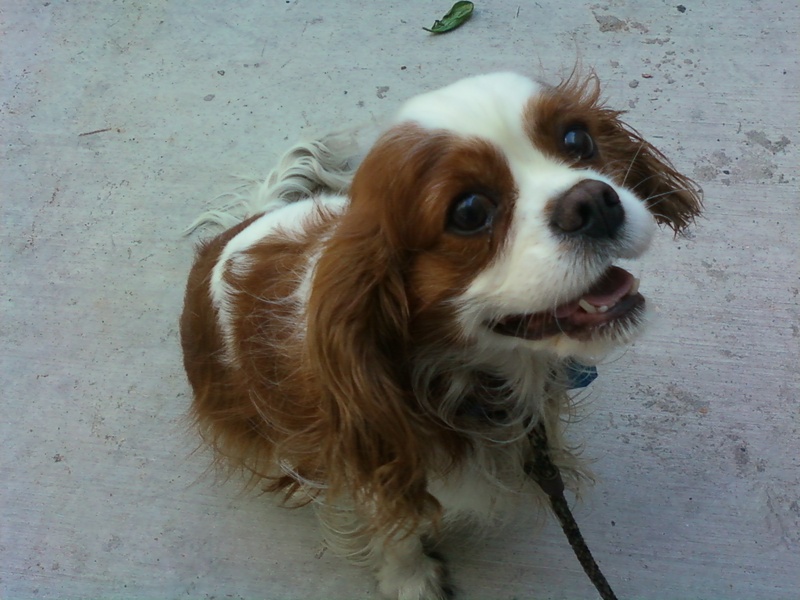 Dog Tested and Approved: Short on Time and You Want to Walk Your Dog Around The Lake? It's a problem common to Austin dog lovers. We wanted to walk our dogs around the lake but by the time we got organized -- got all our stuff and all of our dogs' stuff together -- we weren't sure we'd have time for a good long walk, especially after driving around and around looking for a place to park the car near Lady Bird Lake. On a beautiful Spring Austin day. When the weather is perfect! And then we realized, we needed to eat first. 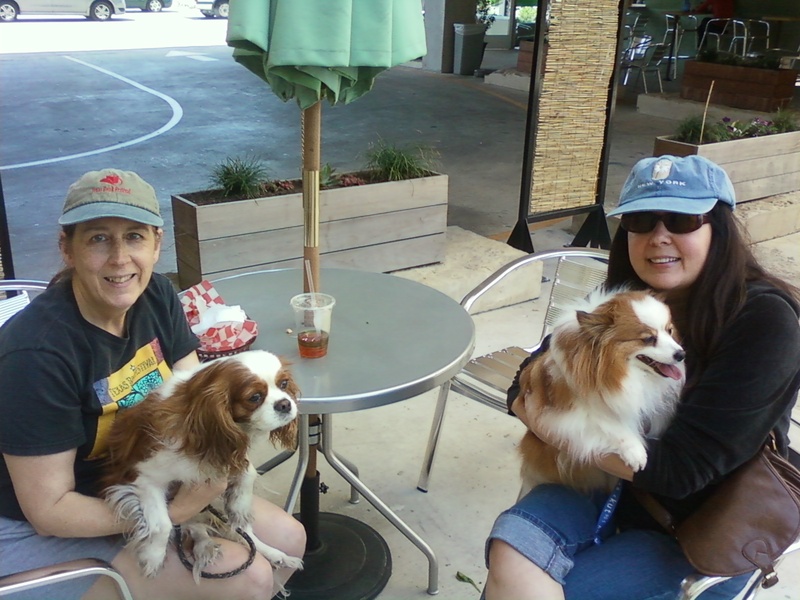 Long-time colleague, friend and fellow dog Mom Cyndi Hughes came up with a solution: Park and eat at the Lift Cafe. If you've been looking at those condos that dot the Austin skyline near Lady Bird Lake, and wondered what's in it for you and your dog consider this: You can get free covered parking (2 hour limit) and you and the pooch of your life can fuel up before the big walk at Lift Cafe, one of several retailers located on the first floor of Bridges on the Park luxury condos at the corner of Riverside and Lamar. (Entrance to parking garage is off of Lamar heading south.) 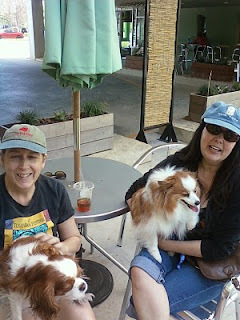 The cafe offers a big bowl of water for dogs and treats. 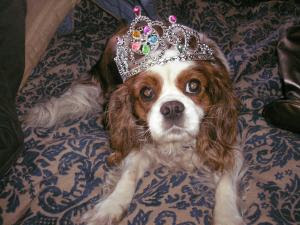 Consuelo, aka La Senorita Principesa!, formerly part of the New Braunsfels rescue group for King Charles Cavalier Spaniels. According to her Facebook page on Dogbook, Consuelo is "a Champion greeter." We suspect given her owner's preferences that she would consider working for Target as a greeter, never for Walmart. 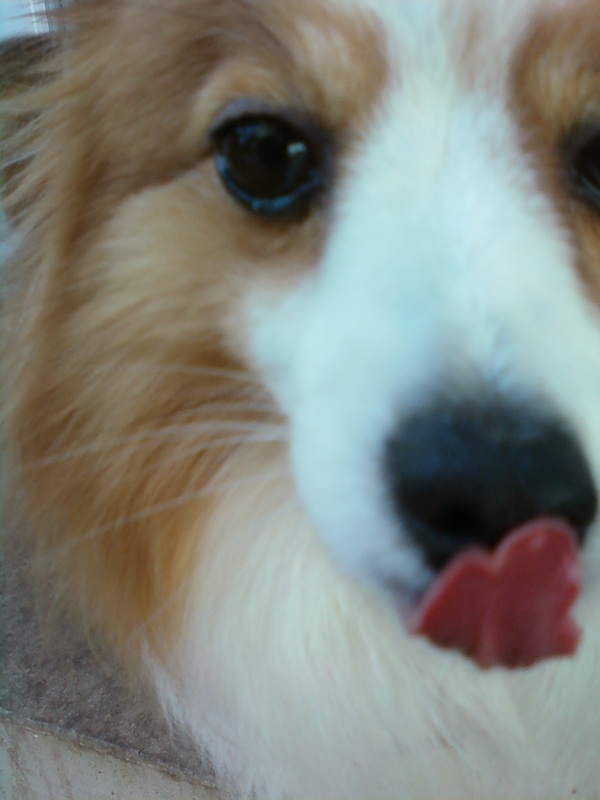 The Little Prince, my "formerly more autistic dog," is a success story in progress from Austin Sheltie Rescue and also on FB for dogs. This is what Consuelo looked like when Cyndi left the table, briefly, to throw away her trash. 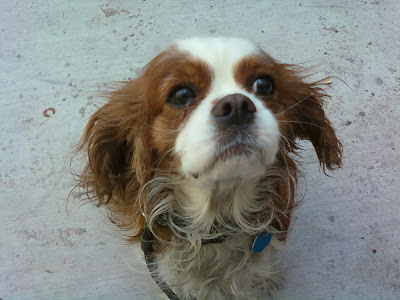 And this is what she looked like when Cyndi returned. 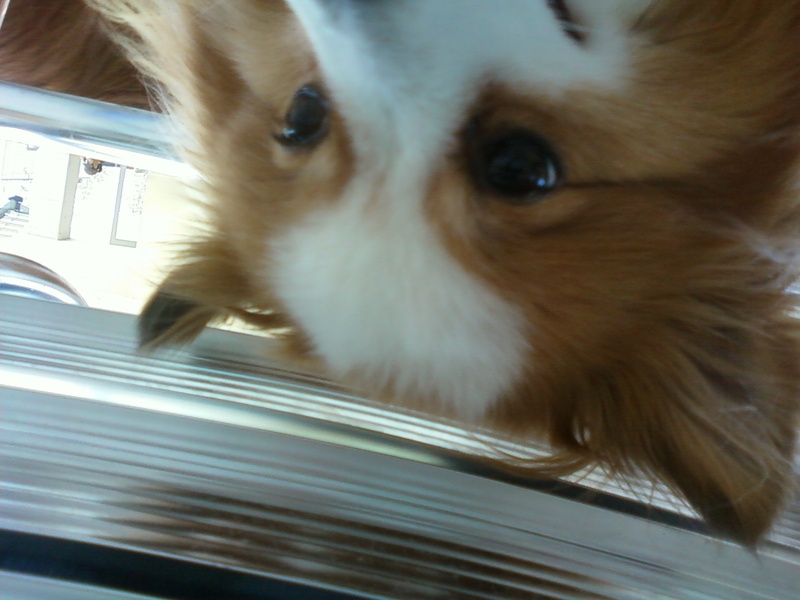 Meanwhile, Prince huddled underneath my chair. Photo taken of Prince under chair while I was sitting in chair. Oh, and the food at Lift? Delicious. Prince smacked his lips after he was given a piece of my banana bread, which I enjoyed along with The Fricken Schmidt, a spinach salad with feta, raisins and cranberries, tossed in fig vinaigrette. Washed it down with a bottle of Sweet Tea. Consuelo went for part of Cyndi's sandwich, the Vegtastic, made with hummus,spring mix, cucumber, sprouts, tomato and onions on whole wheat bread with herb vinaigrette. Lift serves salads, sandwiches, soups and wraps. It also offers beer, wine, coffee, and smoothies and other "specialty drinks" named Antioxidance (pomegranate juice, blueberry, mango), Hill Country Runner (passion fruit juice, blackberry, peach,maca, flax seed oil), the Longhorn (apricot nectar, banana, cherry, strawberry), the Ladybird (blackberry caramel latte), the Riverside (coffee, dark chocolate syrup, cinnamon, steamed milk), and of course -- this IS Austin -- the Elvis (almond milk, banana, nut butter, raw cocoa powder). If you like quality healthy food at a reasonable price at a place that welcomes dogs and is in walking distance of the hike and bike trail, this is the place. Did I mention the free parking? Free covered parking! Ambiance? Inside the Lift,yes. Outside on dog patio. Not so much. Lot of cement and the view wasn't of the lake but of the traffic headed up and down Lamar Blvd. Kind of noisy, too. Best idea: Lift offers "Take-Aways," food to go. Call ahead and pick yours up en route to a picnic in the park.